He's back - this time in 3D. To say that Terminator 2: Judgment Day has stood the test of time is a gross understatement. The film is as thrilling today as it was when I first saw it on the big screen 25 years ago in 8th Grade. And on every viewing since, the film has continued to astound. For my money, the only good 3D film I have seen up to now was James Cameron’s other 3D masterpiece, Avatar. Filmed in new technology at the time, the 3D brought the world to life like nothing I had seen before. Any film I’ve seen which has had it’s 3D conversion done in post, has always been intrusive – it not only seems unnecessary but actually can take you out of the movie, with gimmicks such as items flying at the screen to give the audience a cheap thrill (Thor: The Dark World & Avengers: Age of Ultron, I’m looking at you). However, with the master of 3D technology at the helm, Terminator 2 in 3D is an even better experience than when I first saw the movie at age 12. James Cameron’s conversion is flawless; it feels as though the movie was originally filmed in 3D. From the opening sequence as we look upon the post-apocalyptic world of robots firing across the destruction of civilization and the famous drumbeat builds, the camera zooms in slowly on a robot. It gets closer and closer, its red eyes seemingly gazing right into the audience. The stunts are even more impressive as the truck crashes, gunfights and helicopter stunts engross more than in the original 2D. The whole experience is immersive, engaging and exhilarating. This is one of the very few movies I’ve seen at the cinema that made the audience applaud at the end. If I didn’t know better, this could easily be a film that was made today, but set in the 1990’s (a la Stranger Things – modern but with a period flavor). Aside from the dated cars and clothing, the 3D technology on display makes the film fresh. Seeing Robert Patrick’s T-1000 inexorably chasing down our heroes Sarah, John & the T-800, is still tense. The 3D brings to life the morphing skills of the T-1000 in a way that 12 year old me could not imagine. The familial bonding between John Connor and the T-800 is still affecting, and lines like “Hasta la vista baby” –overused in other media in the past 25 years to the point of cliché – still make you want to cheer. Linda Hamilton as Sarah Connor is iconic for a reason. She was one of the first female superheroes I saw at an influential age and is up there with Wonder Woman in terms of role models. 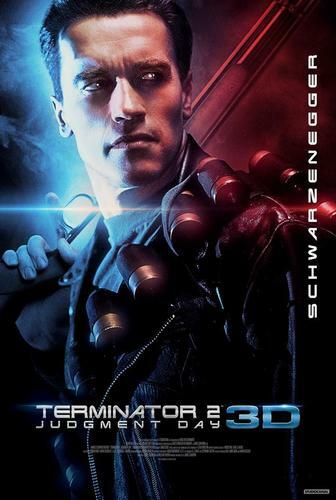 T2 in 3D is only out for 1 week, so if you only see one movie this month, regardless of how many times you may have already seen the best Terminator film ever made, do yourself a favor and check this out.